Over the weekend, Marvel Studios absolutely tore the roof off of Hall H at San Diego Comic-Con, bringing tons of footage and talent to surprise fans, who waited hours for the highly anticipated presentation. Much of the focus was dedicated to the upcoming Doctor Strange, and director Scott Derrickson was on hand to show a full clip from the movie and to debut the new, full-length trailer. As expected, everyone seemed to love Benedict Cumberbatch, and Derrickson wasn't the least bit surprised by that. After the panel at Hall H, the director spoke with Collider a bit about the movie, and revealed that they are nearly done with it. Derrickson said that they are just tightening things up and finishing visual effects work, as well as doing some simple pickup shots for clarification. But they have had a few test screenings, and Derrickson feels that Cumberbatch is the thing that everyone loves in Doctor Strange. Here is what he had to say. "We've had a few test screenings, and the overwhelming thing I've learned is that people love Benedict Cumberbatch in this movie. They just love him. You know, it's kind of the headline I guess. They love the visuals, they love the action. But more than that they love Benedict, and he is Doctor Strange." These are of course very early screenings for a very specific type of audience, but Derrickson made it clear that he didn't have any invited friends or family in the audience. According to the director, these test screenings were filled with people that Disney invited. So sure, these are still probably people who are more likely to be positive, but it doesn't sound like an audience who would specifically try to inflate the ego of Derrickson or Cumberbatch. Also, based on everything that we have seen, it isn't exactly a stretch to believe that Cumberbatch is going to knock this out of the park. Marvel brought pretty much the entire main cast of Doctor Strange to SDCC this year, and we finally got to see Mads Mikkelsen in action as the villainous Kaecilius. Up until now, his role has been largely a mystery and we have only seen faint glimpses of him, which didn't reveal all that much. Mikkelsen spoke with Yahoo after the panel, and the actor gave a bit of a window into his inspiration for the character, revealing that he looked to martial arts legend Bruce Lee for inspiration. Here is what he had to say. "We have a lot of physicality going on, and it's martial arts, and one of my biggest heroes of all time is Bruce Lee. Who would've thought at the age of 50 I would get to be a miniature version of him?" 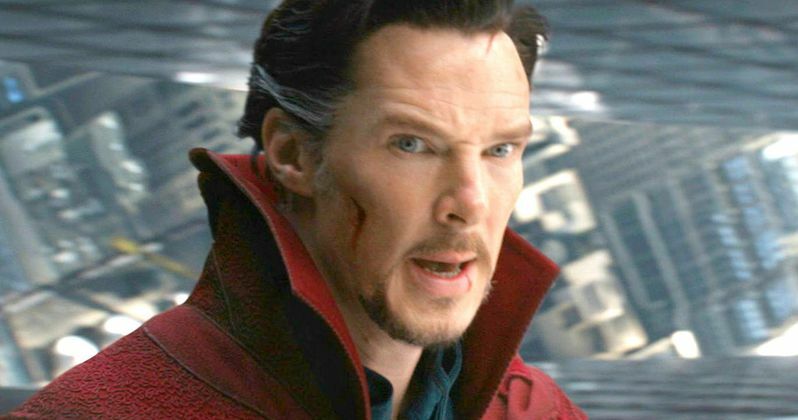 Prior to Comic-Con this year, a lot of Doctor Strange was still very much a mystery, but with the new footage and these new details, the picture is becoming much more clear. Stephen Strange is going to be introducing the concept of straight up magic, and the multiverse, to the Marvel Cinematic Universe. It is clear this is going to be a very different kind of Marvel movie, and all of this new information seems to be very encouraging. Doctor Strange hits theaters on November 4.